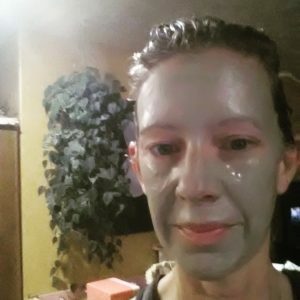 There are many different facial masks that I whip up in my kitchen that work great for my skin but the bentonite clay face mask is my favorite by far. If you are looking for a face mask that will shrink your pores and detoxify your skin this bentonite clay face mask for clear skin is for you! This face mask recipe only calls for TWO ingredients which you may have in your home already. After your first use of this bentonite clay face mask for clear skin you will be thrilled. I know that I was thrilled because I immediately found my skin clear, firm, and glowing. I really feel like my skin is clean and healthy after using this mask. Bentonite clay is a clay that is mined from the earth. It is composed of aged volcanic ash. Bentonite should not be pure white. I find it to be gray or greenish in color. It has been found that bentonite clay has a strong negative electromagnetic charge. When bentonite clay is activated by water it acts like a magnet in and ON our bodies by pulling metals, toxins, impurities, and chemicals to it. Bentonite clay also provides vital minerals to our body. For these reasons I also use it in my squeezable remineralizing toothpaste. 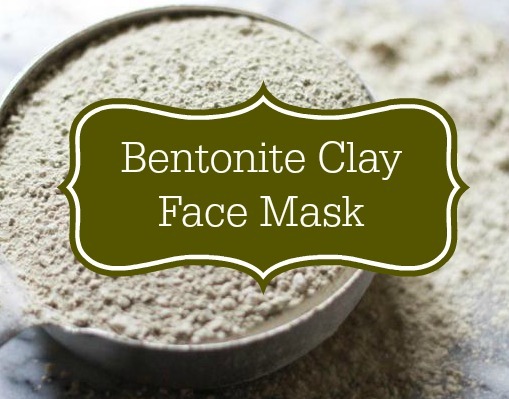 You can purchase bentonite clay locally or online. 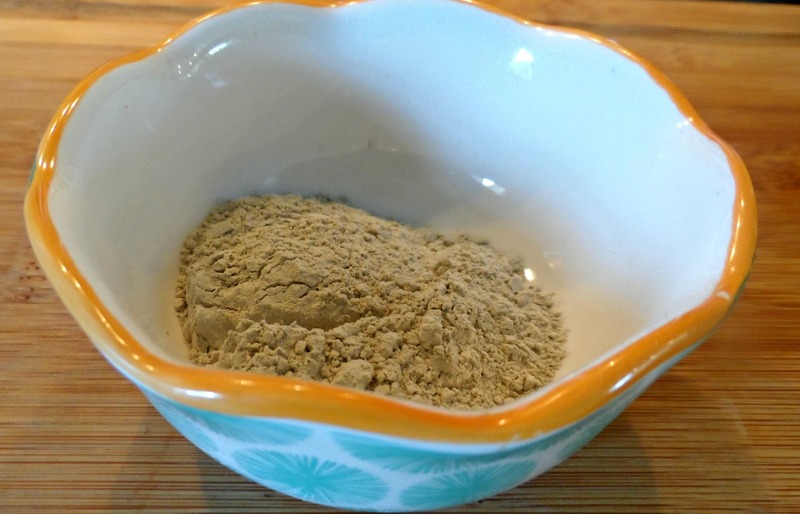 The recipe to make a bentonite clay face mask for clear skin is super easy. With just two ingredients you have an amazing face mask. Simply mix equal parts bentonite clay and apple cider vinegar. 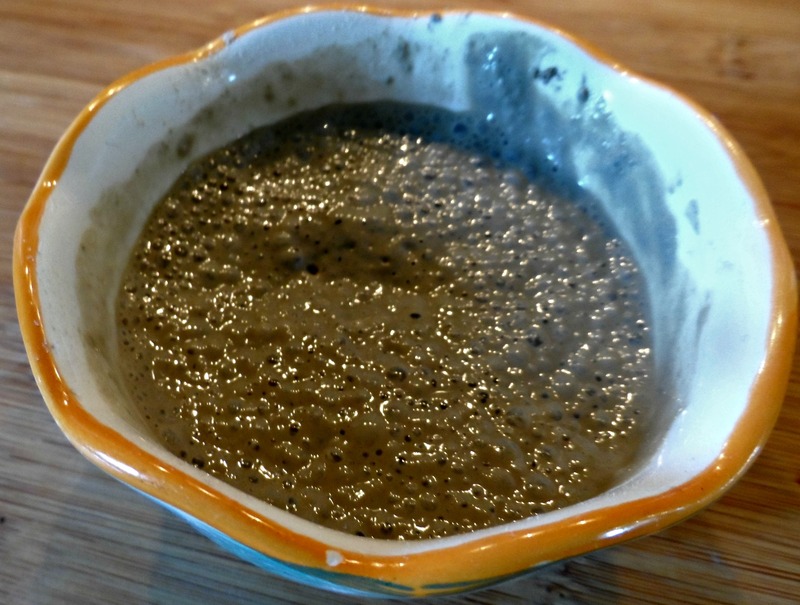 I use Aztec Secret Bentonite clay and Bragg’s Apple Cider Vinegar to make my face mask. Place 1 tablespoon of clay in a non-metal bowl. Add 1 tablespoon of apple cider vinegar and stir with a non-metal spoon. I like this part, it get’s all bubbly and cool! Now it’s time for the fun part. Rub it all over your face. It will feel cool and smooth. Let the mask sit until it is dry and you are a nice shade of green. This isn’t a great pic AT ALL but here I am with oil in my hair and clay on my face. Wash the mask off with warm water using a cloth and enjoy your smooth glowing skin. To see more of my natural living recipes please click here. Sounds like a great recipe. Masks are all the rage this time around, but they’re so pricey sometimes. So it’s good to know I can whip up my own and still reap its benefits. Thanks for sharing this with us on #shinebloghop this week, Angela! I hope that you like it Maria. 🙂 I look forward to joining the #shinebloghop every week! I hope that you like it Lisa! I would say use 2 parts of you bentonite clay & water mixture with 1 part vinegar. I hope you like it! You do such a great job with DIY bodycare Angela! I need to get more inspired again! Thank you! I need to get back to the basics in the kitchen again. I am making your chocolate sauce recipe this week (finally)! I use a bentonite clay mask for my face as well and it really seems to have helped my acne! I will have to try your recipe some time, especially since it has less ingredients. 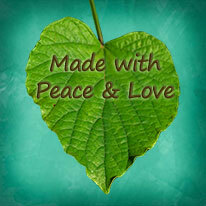 lol Thanks for sharing on the Green Living Link Up! I hope that you like it Alicia!! I used to use it with water but I love it with ACV. I like your adition to ACV. I’ve made masks before using the clay but never thought of using that. I’m going to make this. Thanks! Homeopathic Remedies - Why we embrace them!